No available internships in Retail sales supervisors and spechialized sales occupations. No available field placements in Retail sales supervisors and spechialized sales occupations. Fanshawe College offers a variety of undergraduate co-op programs related to retail sales supervisor and specialized sales occupations. Co-ops are 4 or 8 month work terms (minimum length is 10 weeks). Georgian is Ontario’s first co-op education college and a recognized leader in student work experience. Georgian College offers a variety of undergraduate co-op opportunities related to retail sales supervisor and specialized sales occupations. 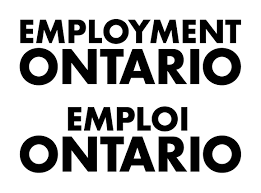 Employers can hire students for 4 or 8 month work terms, generally starting in January, May or September. Internships are classified as co-op opportunities. McMaster University offers a number of co-op opportunities for undergraduate and graduate students related to retail sales supervisor and specialized sales occupations. Co-ops are 4- or 8-month work terms. In addition, McMaster University offers internship opportunities for undergraduate students, ranging from 4-16 months. Mohawk College offers a wide range of undergraduate co-op opportunities related to retail sales supervisor and specialized sales occupations. Co-op positions are 4-month work terms, generally starting in January, May or September. In addition, Mohawk College offers work placement opportunities for undergraduate students. Work placement opportunities are full-time, unpaid positions that are generally 7 weeks in length. Niagara College offers a variety of undergraduate co-op programs related to retail sales supervisor and specialized sales occupations. Co-op positions are 4-8 month work terms. In addition, Niagara College offers field placement opportunities for undergraduate students, ranging from 120-300 hours in length. No available co-ops in Retail sales supervisors and spechialized sales occupations. Sheridan College offers a variety of undergraduate and graduate co-op opportunities related to retail sales supervisor and specialized sales occupations. Co-op positions are 4-month work terms, available year-round, beginning in January, May and September. Internships are classified similarly to co-op opportunities. The University of Guelph has been delivering quality co-operative education programs for more than 35 years. The University of Guelph offers a variety of undergraduate co-op opportunities related to retail sales supervisor and specialized sales occupations. Co-op positions are 4- or 8-month work terms. In addition, the University of Guelph-Humber offers field placement opportunities, ranging from 100-300 hours in length. The University of Ontario Institute of Technology offers internship opportunities for employers to hire 3rd and 4th year undergraduate students related to retail sales supervisor and specialized sales occupations. Internships are 4-month paid internships. For more information on the above programs click here. The University of Toronto offers undergraduate and graduate co-op placements begin in January, May or September. Co-op terms range from 4-16 months. In addition, the University of Toronto offers various internship opportunities. The Academic Internship courses are unpaid internships that are 100-200 hours in length for 3rd and 4th year undergraduate students. The Professional Experience Year Internship gives employers the opportunity to hire undergraduate students from the Faculty of Applied Science & Engineering and the Faculty of Arts & Science for a 12-16 month paid internship. Graduate internships are also available. Western University offers co-op opportunities related to retail sales supervisor and specialized sales occupations. The Ivey Business School offers employers the opportunity to hire students for paid summer internships.